AF 540 FGZ is an automatic TTL flashgun with tilt and swivel option, auto zoom and high speed synchronization. Featuring a large guide number of 54 (at ISO100/m), the AF540 FGZ auto zoom flash offers a variety of advanced flash applications, including P-TTL auto flash, high-speed synchronization and wireless P-TTL auto flash with PENTAX digital SLR cameras. Large guide number : Despite its compact dimensions and clip-on design, the AF540FGZ auto flash offers a large guide number of 54 (at ISO100/m) to accommodate a wide range of flash applications. Advanced auto flash functions : The AF540FGZ features a variety of flash functions, including advanced P-TTL auto flash in which a pre-discharge from its spot-beam projector is detected by the camera’s light sensor to accurately control the main discharge level needed for proper illumination of the subject. 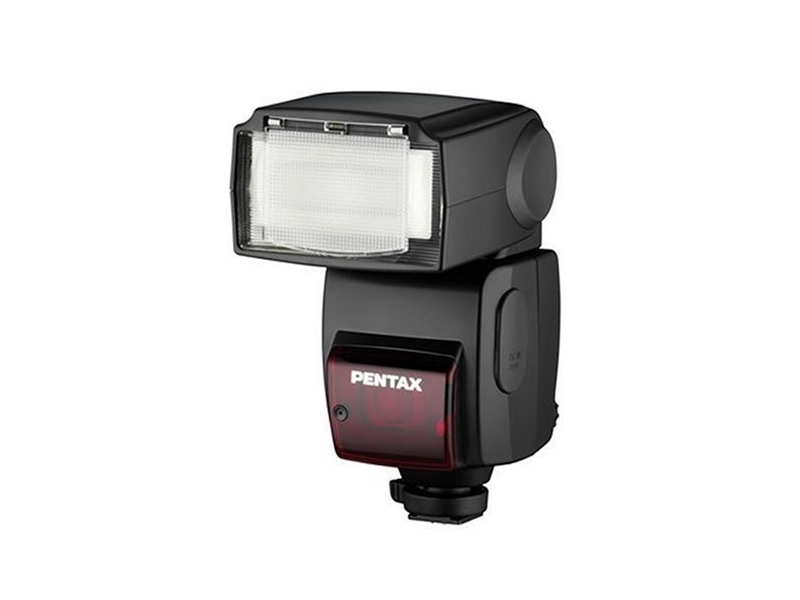 Other functions include TTL auto flash, auto flash, manual flash, high-speed synchronization and wireless P-TTL. Others : - “Digital” position newly provided on the focal-length conversion scale of the zoom head to accommodate digital SLRs. - Bounce flash function, with adjustable angles of –10 to 90 degrees vertically and up to 180 degrees horizontally. - Power-zoom flash head to cover angles of view for 24mm to 85mm lenses (in 35mm format). - Built-in wide-angle panel that slides out to cover 20mm angle of view (in 35mm format). - Built-in catch-light panel, which is useful and effective in portrait photography - External power supply with the optional TR Power Pack II. - Battery-saving auto power-off function (user cancellation possible).